On the morning of 16 November it became apparent to the British commander, Brigadier Tilney, that their situation was untenable and he surrendered. 3200 British and 5350 Italian soldiers went with him into captivity. The 4th Bn, The Buffs, in their isolated position, were unaware of the surrender so did not attempt to escape, consequently nearly the whole unit was captured. Like The Buffs, only ninety men from the West Kents managed to escape from the island. The withdrawal of the American fighters had sealed the fate of Leros. 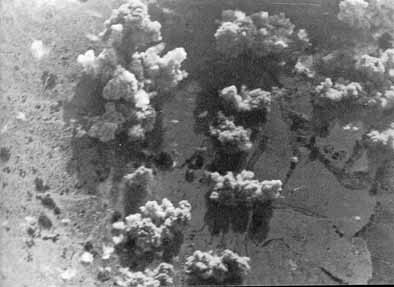 With no air support and heavily attacked by enemy aircraft, the three battalions had fought for five days until they were exhausted and could fight no more. 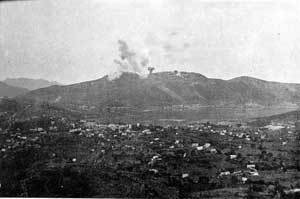 The Commander-in-Chief, Ninth Army, General Wilson, reported to the Prime Minister: "Leros has fallen, after a very gallant struggle against overwhelming air attack. It was a near thing between success and failure. Very little was needed to turn the scale in our favour and to bring off a triumph." Everything was done to evacuate the garrisons of the other Aegean islands and to rescue survivors from Leros, and eventually an officer and fifty-seven other ranks of the King's Own rejoined the details in Palestine. After the fall of Leros, which was received with shock by the British public, Samos and the other smaller islands were evacuated. The Germans bombed Samos with Stukas, prompting the 2,500-strong Italian garrison to surrender on November 22. Along with the occupation of the smaller islands of Patmos, Fournoi and Ikaria on November 18, the Germans thus completed their conquest of the Dodecanese, which they were to continue to hold until the end of the war. 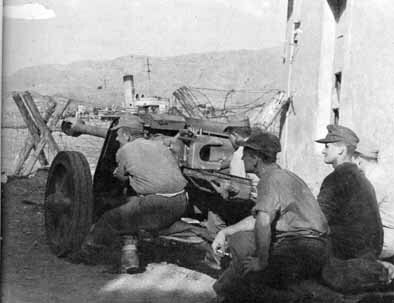 The Battle of Leros was considered by some to be the last great defeat of the British Army in World War II, and one of the last German victories. The German victory was predominantly due to their possession of complete air superiority, which caused great losses to the Allies, especially in ships, and enabled the Germans to supply and support their own forces effectively. The whole operation was criticized by many at the time as another useless "Gallipoli"-like disaster, and the blame was laid at Churchill's door. The story formed the basis for the 1957 novel "The Guns of Navarone" and the successful movie of the same name. It was the last day of the battle. At 07:30 brigadier Tinley sends signal in the Cairo that describes the situation. From 04:00 the Germans strike Merovigli from the north and East and little by little with the support of aviation by afternoon they take over the English headquarters. At 17:30 lieutenant Max Vantray with 20 commandos arrests brigadier Tinley.